What a wonderful Writers’ Week we had this year. We were gifted stimulating conversation and eventually some beautiful weather. The topics presented to us this year were challenging and fresh and were often the kind that needed some time to reflect on. We each made it to a few sessions and wanted to share our thoughts with you after some time to ruminate. We’re still stocking the Writers’ Week books so if you missed out on a title, we’re happy to help you find it. As I have done for the past few years, I took a glorious week off to work at Writers’ Week as a driver. It means that I get to meet many of the authors and have hugely interesting conversations on the way to and from the airport, but don’t get to see many sessions in their entirety. The car air-conditioning was certainly welcome on some of those hot days though! One of the sessions I did get to was Rose George & Carl Zimmer talking about complexity. They are both science journalists and reflected on the current state of affairs in reporting complex issues in this world of post-truth, truthiness and fake news. 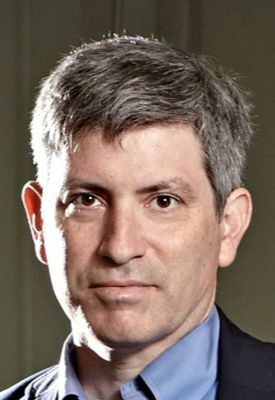 Both George and Zimmer lamented the rise of unregulated platforms like YouTube that can spread misinformation – for example, the millions of videos that support the idea that the Earth is flat. 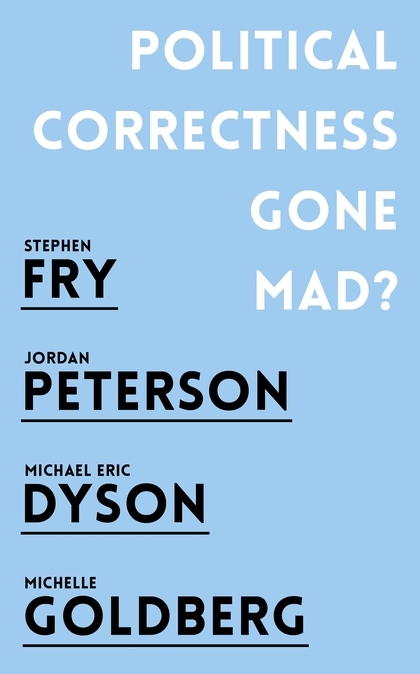 Neither author had a simple answer about how to change this dire situation, but agreed that journalists and the media must continue to provide clear, concise and engaging summaries of scientific and other complex information, as well as educating the public about how to evaluate truth in media. They also urged writers and communicators in specialized fields not to remain in isolation. I have since read Rose George’s book Deep Sea and Foreign Going, which documents her time spent on an enormous container ship as she investigated how 90% of the things we use in everyday life are transported around the world. I think this is a great example of how to blend scientific reporting (on the marine environment, in this case) with the economic and political realities that seafarers face today. Another session I was lucky to catch was Preti Taneja talking about her debut novel We That Are Young. It is a modern-day King Lear, transposed (or translated, as Taneja put it) onto contemporary India through the voices of five young characters. 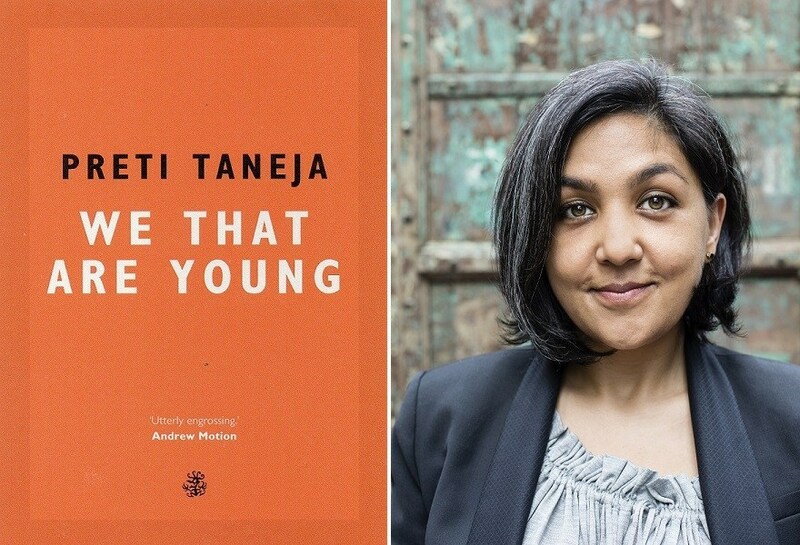 Themes of division, identity, loyalty and family are immediate links between Shakespeare’s text and this novel, but Taneja has also taken much of the language of the original and adapted it into her setting. The resulting pastiche sounds incredibly rich, poetic and powerful. I am yet to read the novel but am fascinated by the blend of old and new that, from the passages read during the session, seems at once fresh and familiar. 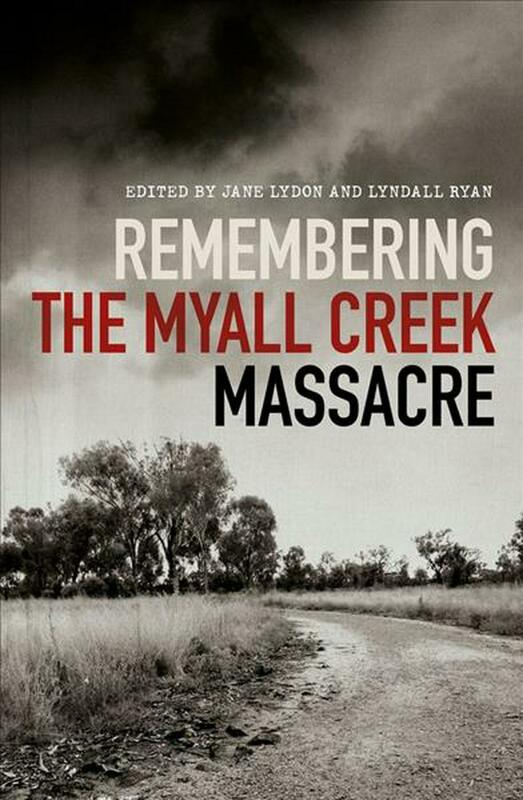 I’m embarrassed to say I’d never learned about the massacre Myall Creek before I came across this book in the lead up to Writers’ Week. If I had heard of it, I hadn’t learned about the scale and horrific details. In 1838 twenty-eight unarmed Indigenous Australians were brutally killed by eleven British colonists. 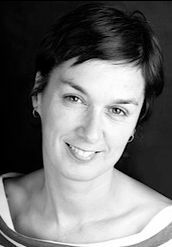 Lyndall Ryan is an academic and historian and began the huge project of mapping the colonial frontier massacres in Australia. The Massacre Map details and approximates locations of massacres and provides sources of corroborating evidence. The map is an important step in acknowledging the extensive violence used against indigenous people in Australia’s history. 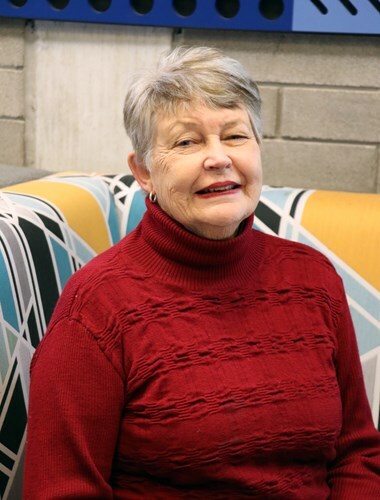 Her most recent book details the massacre at Myall Creek. This massacre was unusual in that eleven of the twelve assassins were arrested and brought to trial. Out of these eleven, seven were hanged. Lyndall was joined at the Writers’ Week conversation by Aunty Sue Blacklock, whose ancestors were murdered in the massacre. She spoke of her family history and the significance of growing up with this painful story. 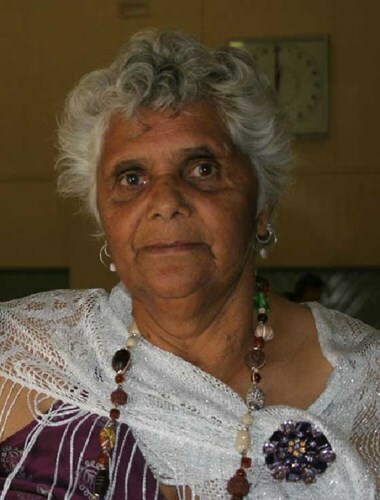 Aunty Sue was the leader of a committee who recently finished a memorial at Myall Creek. 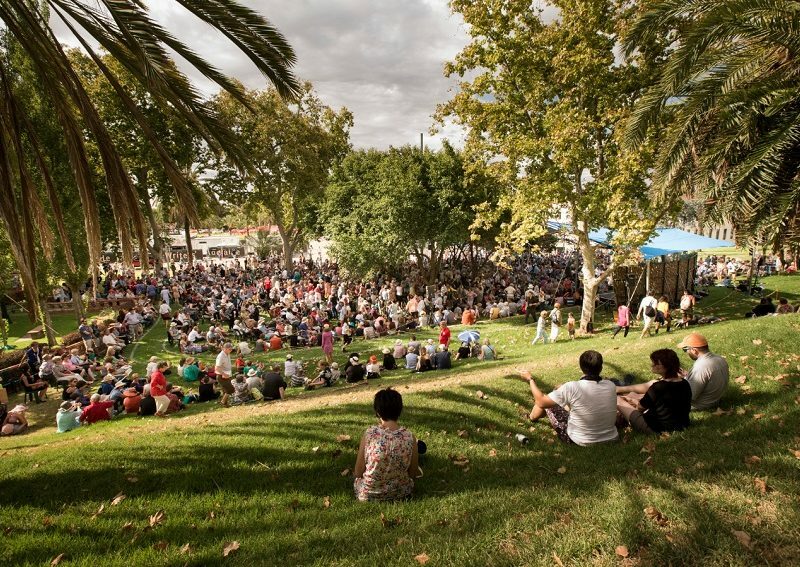 The conversation centred around the details of the trial and why it was one of the rare cases where the perpetrators were convicted but also the importance of remembering and acknowledging the extent of the violence that Australia’s First People experienced and ways toward reconciliation today. One of the most powerful moments of the conversation was when Aunty Sue said that in finishing the memorial she could feel her ancestors being set free. This is one of the most energetic Writers’ Week conversations I’ve been to. 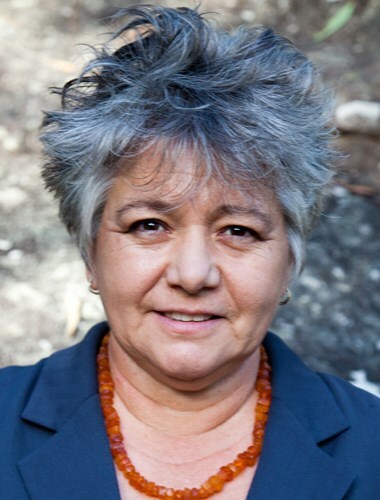 Melissa Lucashenko is a Bundjalung writer and a born storyteller. 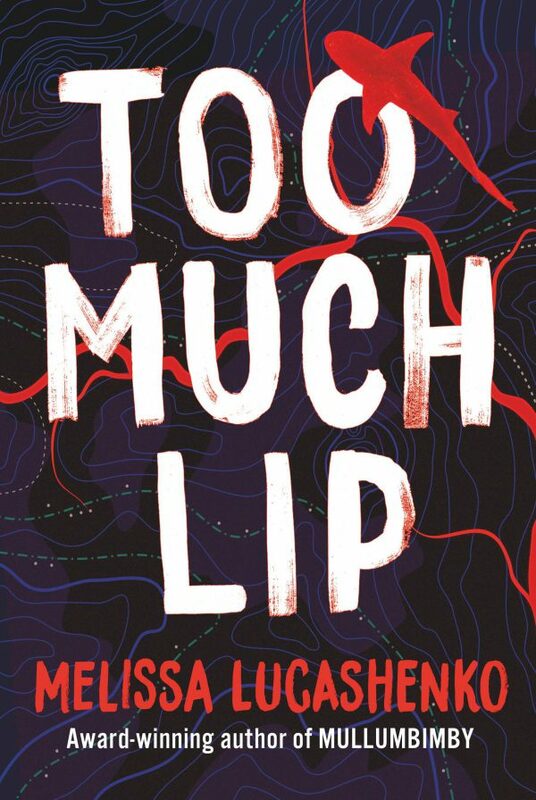 It was a joy listening to her speak about her most recent book, Too Much Lip. She started the session by reading a scene from an early chapter where Kerry, the main character, watches four waark (crows) eating roadkill before tearing off on her motorbike to visit her family after years of separation to say goodbye to her dying pop. Hearing Lucashenko’s voice and sound of the Bundjalung language gave the book such guts that I wanted her to keep reading. She spoke about wanting to convey the complexities and violence in the Salter family while keeping her characters nuanced. I was interested in hearing her speak of the importance that her characters have humour and moments of pleasure in order to paint a realistic but whole image of Indigenous characters, one that included sexiness and playfulness. I was already enjoying the book when I went to the session but afterwards I raced off to finish it. I hope that everyone had a wonderful Writers’ Week and heard plenty of good discussion and got inspired to read some new authors. 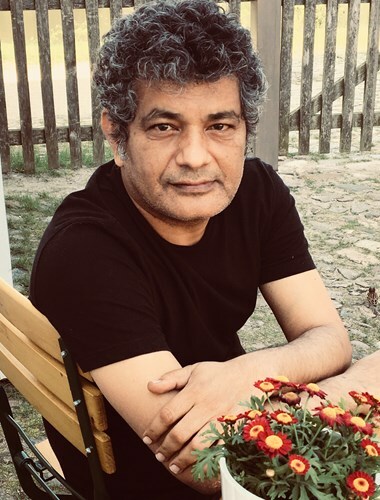 I went to hear Mohamad Hanif talk about his life as a journalist and author on Sunday afternoon, and I liked his relaxed, easy and humorous style whilst at the same time he was talking about very serious issues in Pakistan. He talked about how long years of dictatorship and censorship has led to finding ways of speaking out by making fun of them. 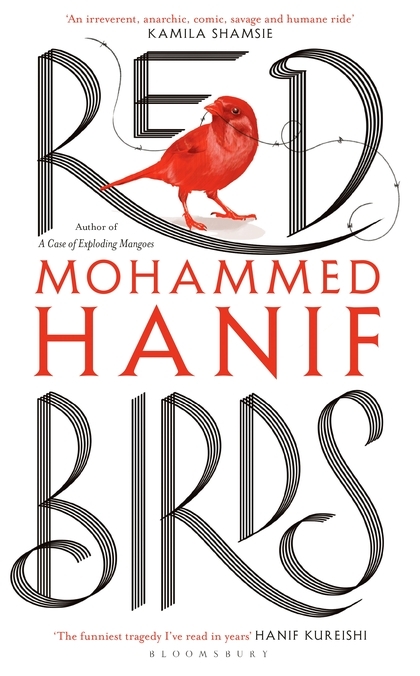 Hanif is an author who uses satire to highlight these problems and in his most recent book — a dark comedy about human ugliness — Red Birds, he critiques US Foreign Policy, war and America’s role in the destruction of the Middle East. 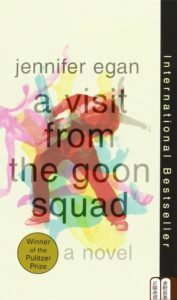 The book is set in a refugee camp and has 3 narrators — an American pilot who survives his plane crashing and ironically ends up in the camp that he was supposed to bomb, Momo who is a young boy who has become a refugee businessman who finds and rescues the pilot and a Philosophical dog called Mutt. In this story Hanif asks some big questions. How can we have safe sheltered lives when half the world is getting bombed? What role have we had in ruining their homeland? Where do our lives and theirs co-exist? And do we have base urges for conflict/war? 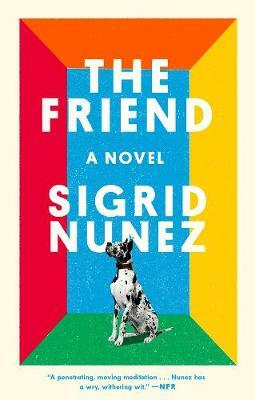 The Friend by Sigrid Nunez. Sigrid Nunez’s The Friend is a little gem. It follows an academic as she mourns the loss of a dear friend and colleague, but her grief is complicated by the inheritance of his very large dog. 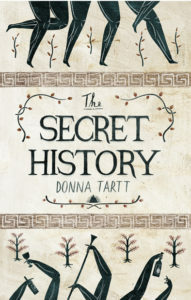 As she forms a close bond with Apollo, the Great Dane, the narrator debates ideas around animal-human relationships, art, writing and philosophy. It is sharply written, witty and wry and will ring true to anyone who has lost someone close to them. 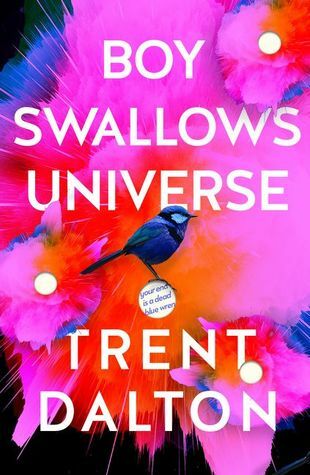 I’ve also recently had the chance to catch up on a hit from last year, Boy Swallows Universe by Trent Dalton, in which Haruki Murakami meets Elmore Leonard in a small town coming-of-age story. Dalton’s writing is “full florist”, enabling him to create beautifully deep characters in an unexpectedly dark mid-80s Queensland. Magic realist elements mix well alongside a good old fashioned Aussie yarn, with a cracking crime story at its heart. I’ve been reeling ever since I finished this beautiful biography by Audre Lorde, self-described ‘black, lesbian, mother, warrior, poet’. This is Lorde’s coming-of-age story — and what a life she had! She paints a picture of what it was like growing up black in 1950s Harlem. Her insight into the social and political climate of the time is so interesting and hers is a perspective I haven’t learned about before. Lorde’s mother was strict and her parents tried to protect her from racism by pretending it didn’t exist, leading to some confusing childhood lessons. She was a strong-headed child and determined to find her own way in the world. She writes poetically about discovering her sexuality and talent as a writer. Her approach to life is unique and refreshing. While she has fun with her misfit group of friends who support one another to be the women they want to be, she works at libraries, hospitals and factories, always becoming more herself and never giving in to societal pressures. The stories of her exclusion from work spaces and public life show the terrible structural racism of that time, which continues today. Her beautiful honesty about the women she loved was heartbreaking and exciting in its tenderness. I was totally wrapped up in her life and energy and didn’t want her to leave. My Sister, the Serial Killer by Oyinkan Braithwaite and Still Lives by Maria Hummel. I’ve just read a couple of smart, edgy crime thrillers that don’t quite fit the mould but succeed nonetheless. 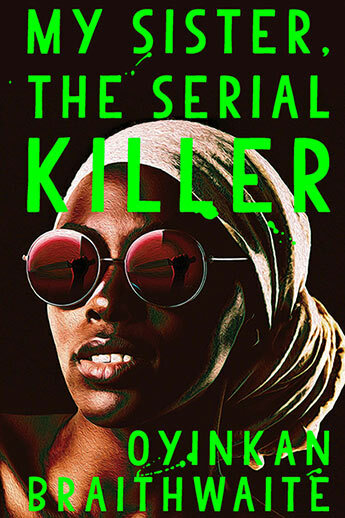 My Sister, the Serial Killer by Oyinkan Braithwaite is a dark, inventive and blackly funny take on what it means to have a mass murderer in the family. Korede, a Nigerian nurse, is forever cleaning up her sister’s mess, but lately, that has extended to an unfortunate spate of dead boyfriends. When Ayoola’s attentions turn to the attractive doctor at Korede’s workplace, her loyalties will be split and her morals challenged. 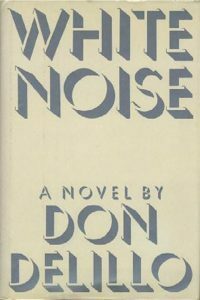 This is a novel take on the serial killer and explores deep-set family tensions with all the punchiness and zest of a Shane Black film. 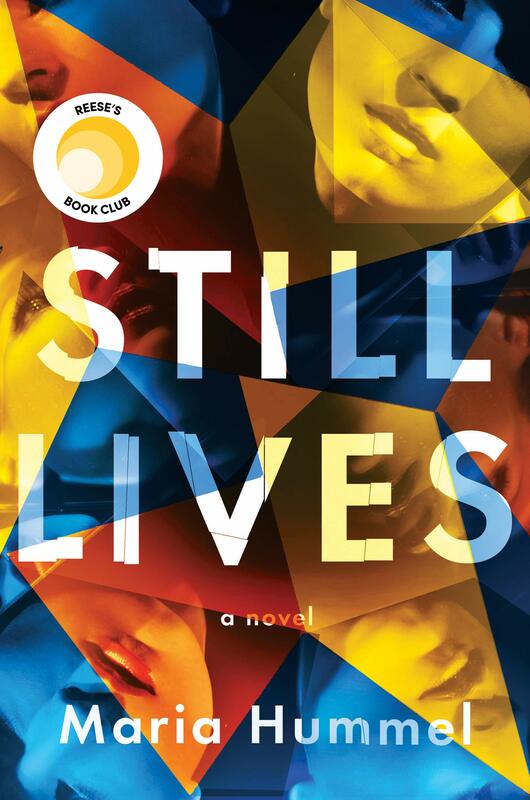 Still Lives, by Maria Hummel, uncovers the seedy underside of the art world when an artist fails to arrive at her own opening. The new show happens to be about famous murder victims, as the artist paints herself into each scenario. But is this just another stunt, or something more sinister? A young gallery worker begins to dig deeper, at once entranced and repelled by the artist’s subjects and life. Hummel has previously written historical fiction and this is her first foray into crime, so it may displease some fans of the genre, but I loved the complex and gendered picture she painted (pun not intended, I promise) of the art market and women’s fascination with violent crime. 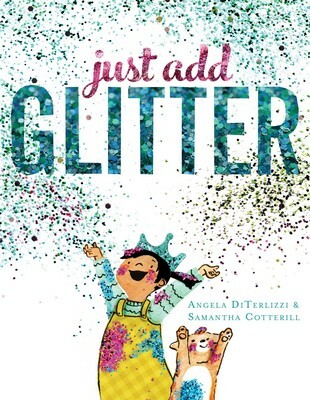 Just Add Glitter by Angela DiTerlizzi, illustrated by Samantha Cotterill and Little Brothers & Little Sisters by Monica Arnaldo. This month I’d like to recommend two lovely new picture books. Just Add Glitter has exploded onto the shelves, bursting with energy and guaranteed to delight any child (or adult) with a penchant for all things spangled and sparkly. Angela DiTerlizzi’s exuberant rhyming text follows a little girl who receives a mysterious package of glitter in the mail, and proceeds to joyfully bedazzle everything in sight. But can there ever be such a thing as TOO MUCH GLITTER? We shall see! Samantha Cotterill’s unique illustrations combine line drawing, 3D collage, photography – and LOTS of glitter – to create a playful wonderland of shimmering splendour. This is a perfect book to read aloud and enjoy together. 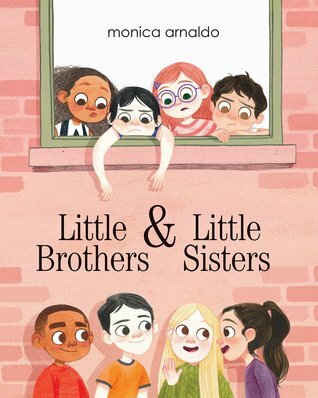 Much more down-to-earth, but no less charming, is Little Brothers & Little Sisters by Monica Arnaldo. Her understated text and detailed, animated illustrations combine to catalogue the frustrations and joys of sibling life. This is a warm and well-observed picture book to snuggle up and share. I devoured Michelle Obama’s book, Becoming, in a week. I am an admirer of hers and this book confirmed my thoughts that here is a woman who is passionate about using her influence to improve the lives of children globally. 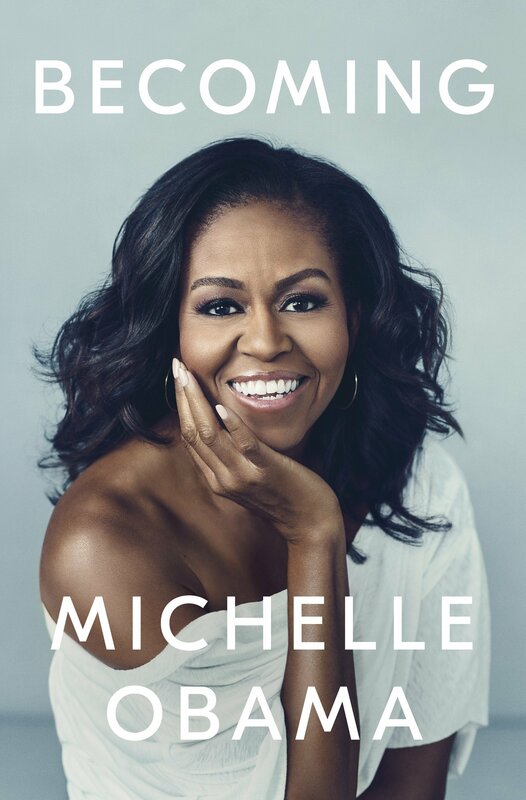 The book is an easy and insightful read into her life — from very ordinary beginnings through to an extraordinary life as First Lady. Throughout the book she remains grounded, with a few reminders from her mother without whom she could not have done her job. This is a great holiday read and the perfect present for your loved ones. 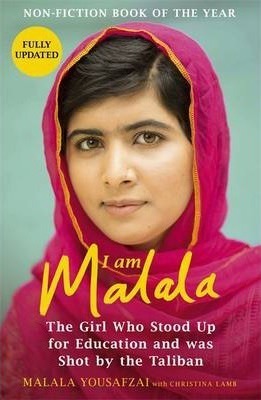 I have heard all about Malala Yousafzai in the media and watched videos of her speaking, but reading her biography offers intimate insight into her incredible, and terrible, experiences. Reading about her picturesque childhood in the Swat Valley in Pakistan gives a new perspective on the sudden terror imposed by the Taliban. Her bravery is unbelievable as she stands up for girls right to go to school, writing of her experiences at such a young age for the BBC and having her life threatened when she was shot by the Taliban when she was just 15. While many expected she would die, it is astounding to hear about how she instead became a Messenger of Peace for the UN and the youngest nominee for the Nobel Peace Prize. She writes with clarity and with a charged but humble voice, sharing personal stories that are a pleasure, and privilege, to read. I am in awe of Malala’s strength and integrity and her book is a reminder of the potential people have to create change in the world. From the outset of this story you are hooked simply because the within the opening few pages such odd things happen. You follow Hercule’s trail through the eyes of his friend and fellow detective Inspector Edward Catchpool of Scotland Yard as Catchpool and Poirot try to work out what is actually happening. Hercule has been falsely accused of accusing three other people that they committed a murder – a murder which nobody seems to be sure ever actually took place! As the detectives dive deeper into the lives of Poirot’s accusers it becomes clear that every one of them have secrets to hide, but do those secrets include something so dark as murder? I thoroughly enjoyed following this story through its twists and turns. 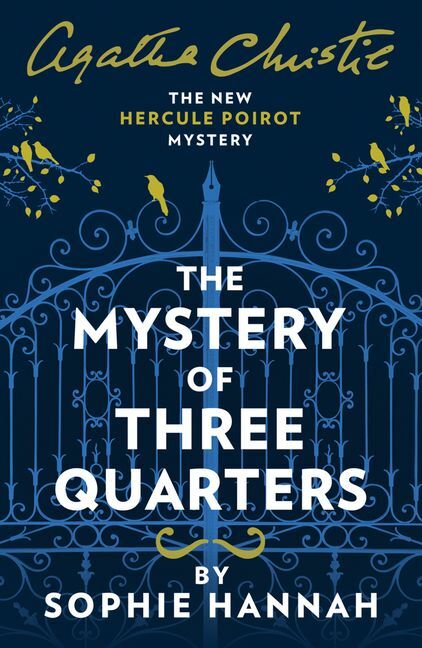 Engaging, intriguing and easy to read, choose this book if you love a good mystery and love the at times laugh out loud eccentricities of the one and only Hercule Poirot. 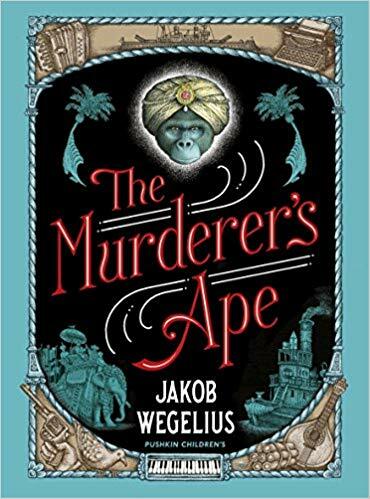 Wundersmith by Jessica Townsend and The Murderer’s Ape by Jakob Wegelius. 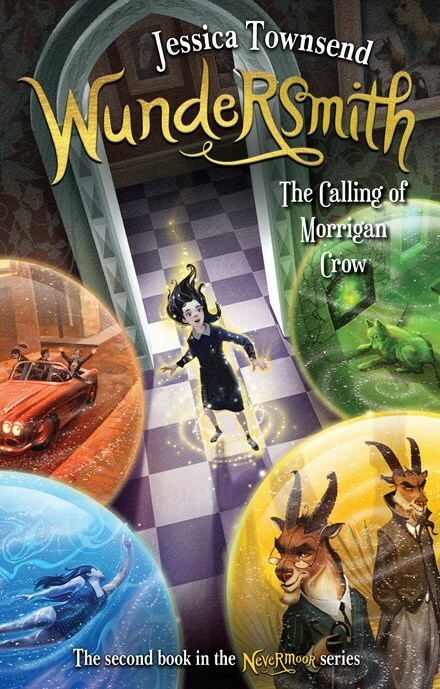 In Wundersmith, we return to the world of Nevermoor with our intrepid hero, Morrigan Crow, as she begins her first year at the magical academy, WunSoc. But everything is not as it seems and Mog’s loyalty and bravery will be tested. I think this second instalment in the instant classic series is even better than the first – without the need to introduce the world, Townsend has more time to develop her characters and plot. I giggled with delight at her magical inventions, shivered with fear at the action sequences and am so excited to urge this upon readers young and old. The Murderer’s Ape was released before Christmas last year in hardback, but I’ve just gotten around to reading the new paperback edition. Full of gorgeous illustrations, this is a noir crime thriller set in early 20th century Portugal and India. Sally Jones is a sensitive and intelligent ship’s mechanic, who also happens to be a gorilla. When her captain is wrongly arrested for murder, she sets out to try to clear his name. A fun romp for anyone aged 10 and up. 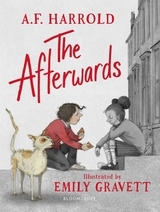 The Afterwards is a compelling, thoughtful and dark new illustrated novel, for confident young readers. Dealing with loss and grief, with an inventive vision for the afterlife, A.F. Harrold’s story is ambitious and imaginative. Emily Gravett’s illustrations are the perfect accompaniment: very gloomy, but in a friendly way. Fair warning: this book is deeply sad, and sometimes genuinely scary. But it’s also exciting and original, and has an immense amount of heart. Those eager readers from 8 to 12 years of age who can handle heavier themes will find plenty to enjoy, and to think about. This is a comment about how I am reading, not what I have read. I downloaded Anna Burn’s Milkman (this years Man Booker winner) while I was travelling on my bicycle recently. But I didn’t read it – I found I did less reading on this holiday because I didn’t have actual books with me. So I started reading it last week and whilst I am loving the style of writing and the content, I have now decided to get a hard copy and read it. 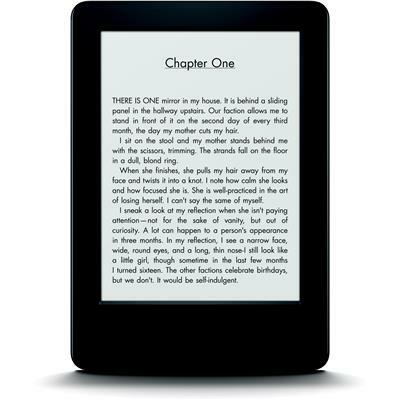 I wonder what your experiences are with e-reading because I really don’t like it. For me when I read, I am looking for an experience of relaxed luxury and immersion and I just can’t get this on an e-reader. When I hold a book, smell the book, turn the pages, see the words on paper, admire the cover – all in my comfy chair or in bed in the evening – I am having a special experience. One that I relish daily and look forward to. 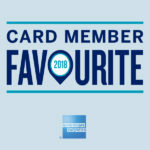 I would be very interested to hear your experiences of reading. Next month I will tell you what I thought of Milkman. I’m luxuriating in Anna Burns incredible experimental form in Milkman. 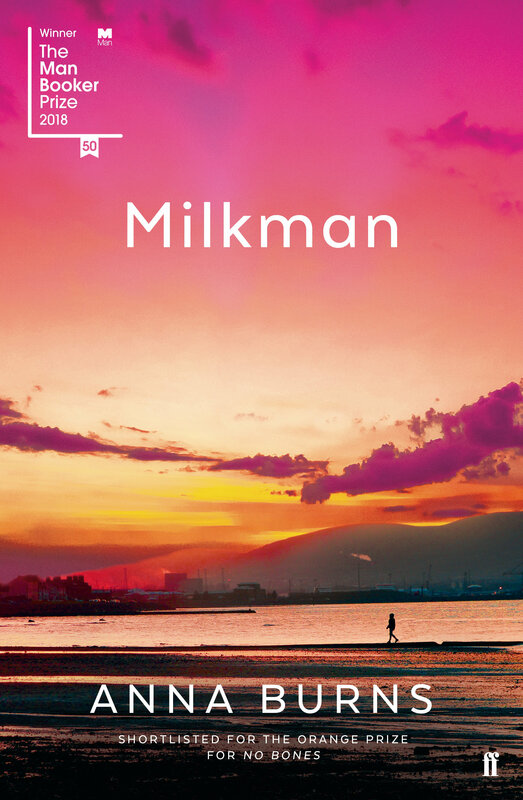 Set in the Troubles in Ireland in the 1970s, Milkman unfolds in an unnamed town where the narrator is strategically fighting off creepy advancements from a much older man. I’m learning a lot about Irish history and the social climate of this period of time. The narrator is a smart, witty eighteen year old who offers nuanced insight into insidious social control and surveillance. This is a book about a particular time but the pervasive control of women is something still so relevant. I’m loving the writing and empathise so deeply with the narrator. I am yet to finish it and am waiting on the edge of my seat to find out what happens to such a memorable character. I’ve been reading a couple of books that examine the idea of home and the role that the spaces that we inhabit play in our lives. Fiona Wright’s The World Was Whole is a series of essays that continues on, loosely, from her 2015 collection Small Acts of Disappearance. She has been struggling with mental ill health and disordered eating for many years, but this book posits that struggle more structurally. Issues of housing, inconsistent or unreliable work, racism and other tensions of contemporary Australia contribute to her feelings of dissociation and dislocation. 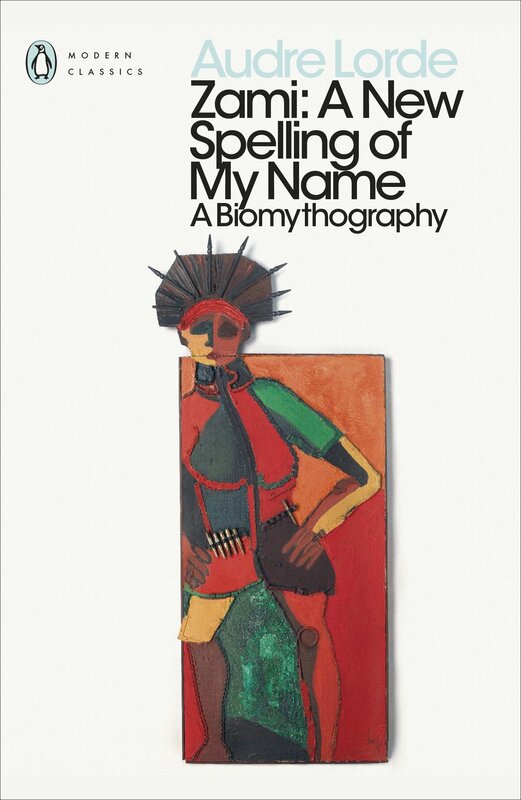 Wright is a poet and academic, and these voices shine through, but the book as a whole is a triumph of cultural commentary and vulnerable memoir. 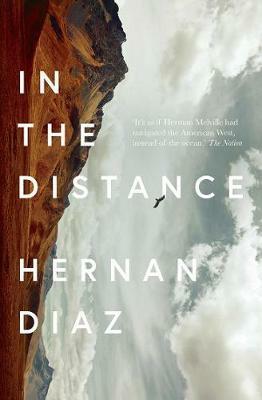 Hernan Diaz’s In the Distance is a Pulitzer-nominated historical novel set in mid-1800s America. The main character, Håkan, emigrates from Sweden with his brother but they almost immediately become separated. He decides to walk across America to find his lost sibling in New York, meeting many strange characters along the way. The book is atmospheric and unnerving, with the unfamiliar landscape and language dominating all of Håkan’s observances. 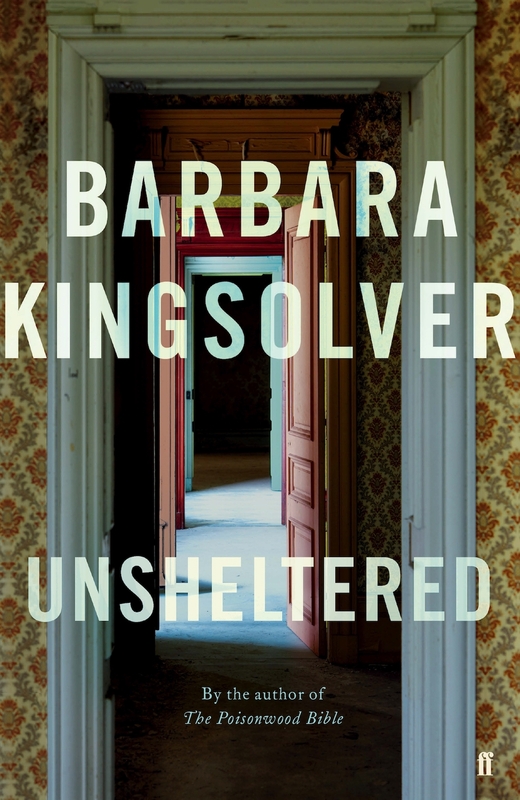 I have just finished reading Barbara Kingsolver’s new book Unsheltered, due for release this week – I read it in 3 days – fabulous writing, a wonderful cast of characters and a range of relevant issues. Basically the chapters alternate between a house and those it shelters in the 19th century, and a house and its occupants on the same land in the 21st century. In both cases the house is crumbling and unlikely to continue to provide shelter for its inhabitants. Of course this a metaphor for events in the lives of those who dwell within. Thatcher Greenwood, his young wife, her sister and his mother-in-law all live in the house during Charles Darwin’s time. Thatcher is a teacher of science, a believer in the theory of evolution but finds it difficult to hold his position in a school where the Christian principal insists on interfering with his teaching. Here Kingsolver bases her story around a real person – Mary Treat who was a Naturalist and who had correspondence with Charles Darwin. Thatcher finds a friend in this passionate nature studier and as his house and relationship is collapsing, he and Mary find strength in their friendship. The concerns of those living in the house in current times include broader political issues of the American economy – loss of jobs, the rise of Trump (although his name is not mentioned), impacts on mental health (there has been a suicide in the family), caring for older parents and maintaining a roof over the family’s head. At the centre of this story are Willa and Iano Tavoularis, their 2 adult children, a baby without a mother and Iano’s sick and dependent father. 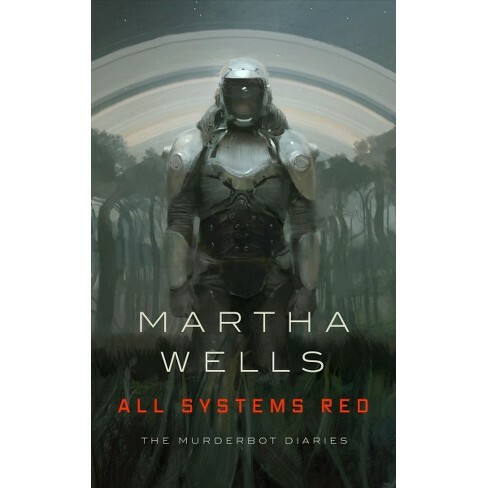 This all makes for such a wonderful read, the dual narrative works well and the resolution for each and every character is realistic and satisfying. I’ve recently read the first book in Rachel Cusk’s Outline trilogy. The first book offers m usings on human nature through ten chapters, each one a different conversation. 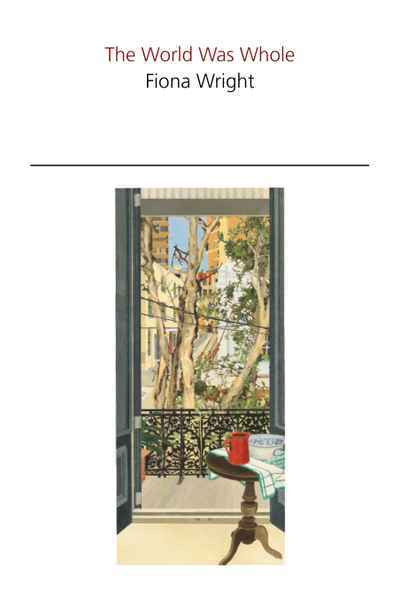 The narrator is a writer from London who is running a workshop in Athens. We don’t learn much about her except from her observations of other people. Through their conversations people divulge concerns about their partners, careers, children and thoughts on art. This is a quiet book and there is something curiously satisfying about these beautifully observed little snippets of people’s lives. 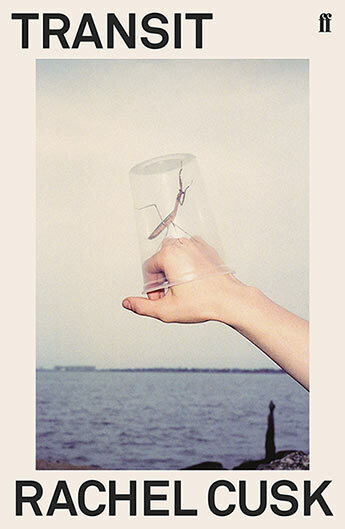 Heidi Julavits in The New York Times wrote reading ‘Outline’ mimics the sensation of being underwater, of being separated from other people by a substance denser than air. I’m also part way through another quiet book by a French author I’ve never heard of before, Violette Leduc. 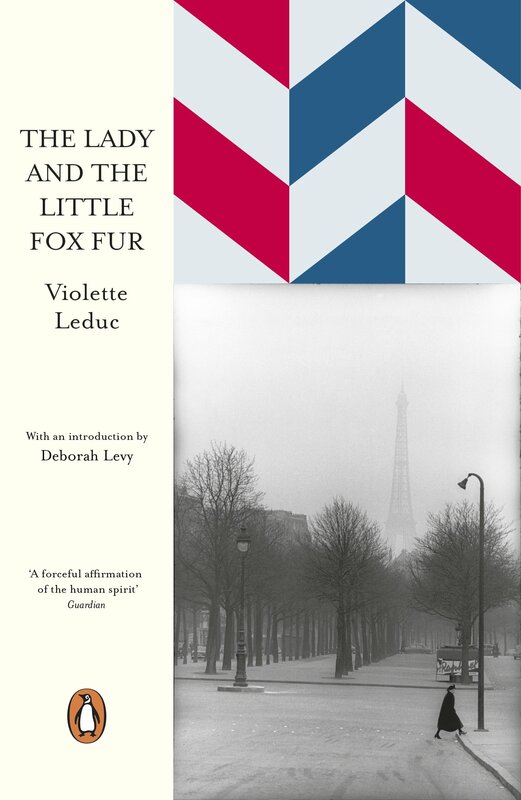 Written in 1965, The Lady and the Little Fox Fur is a portrait of a lonely woman in Paris. The character is in her 60’s and lives in a little attic in Paris. She counts her coffee beans every morning and wanders the city, alone and hungry, observing the people around her with a curious playfulness. One day she wakes with the desire to taste an orange but when she goes searching in rubbish bins for one, it is not an orange she finds but a discarded fox fur scarf. This discovery is a salvation and propels her further into her imaginative life. This book is only ninety or so pages but I’ve been reading it for almost a week, marvelling at the characters observations and moments of joy in an otherwise bleak existence. 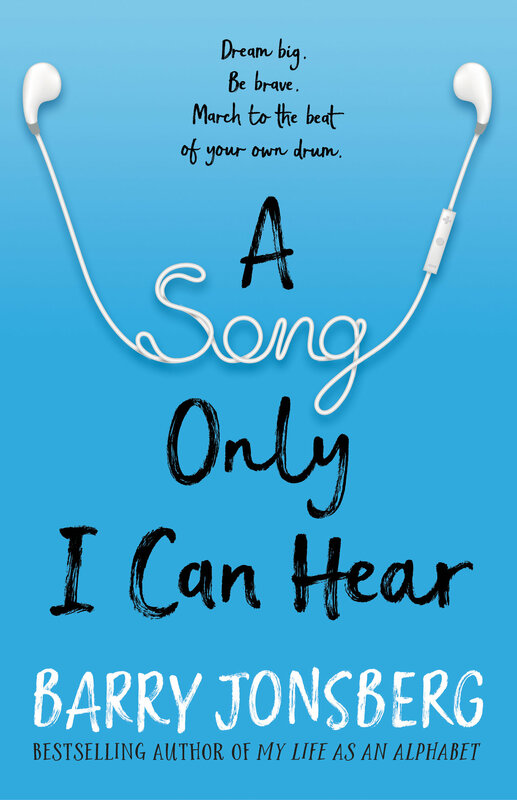 I seem to have been reading lots of middle grade books lately, and by far the best has been Barry Jonsberg’s A Song Only I Can Hear. It’s the story of Rob, who has fallen in love for the first time and is trying to find out what he can do about it – short of actually talking to her or asking her out, of course. When he starts receiving anonymous text messages, he has to decide whether to take up the challenges within. I laughed all the way through this book, and was openly weeping (on a plane, no less!) by the end. This is the perfect book for anyone who enjoyed Wonder, whether you’re young or not. 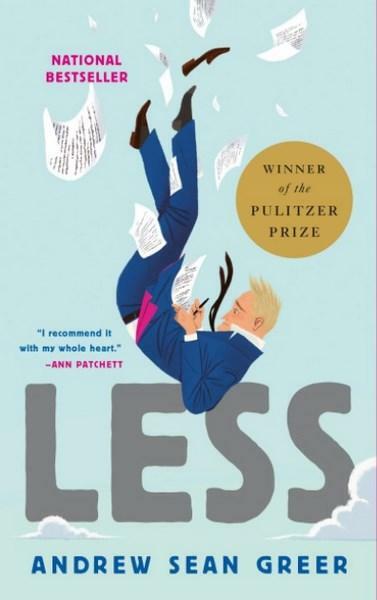 The winner of the Pulitzer Prize for fiction this year was Less by Andrew Sean Greer. The central character, Arthur Less, is an author of some success and when he gets the news that a past love is to be married he decides he can’t possibly attend and leaves town. He accepts every invite, mostly to obscure literary events. And so he embarks on a mid-life coming of age trip. This book is laugh out loud funny, Arthur Less is a hapless but ultimately likeable person. 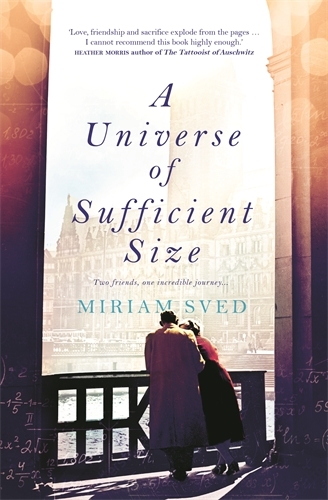 But this is actually a beautiful love story – thoroughly enjoyable, great writing. This is one of those books that I’ve had on my shelf for a few years and came upon it at exactly the right time. Nochita is the intelligent and free-thinking child of a successful new-age guru with a cult following. Nochita observes this adult world with witty skepticism but her outlook on life draws on her mother’s teachings. Nochita’s life takes a tragic turn and she has no other choice but to live with her father and his partner where she is unwanted and forced to sleep in a shed. More tragedy follows, which Nochita takes in her stride. She then tackles life on her own in the best way she can with a fierce independence and endearing strength and kindness. This is a coming-of-age story as Nochita drifts through life, looking after her self and others as she lives in squats, experiments with drugs, makes connections with unlikely people and discovers her sexuality. Written in very short chapters, this is a joy to read. Nochita is a unique and charming character and I’ve loved learning from her musings and resilience. 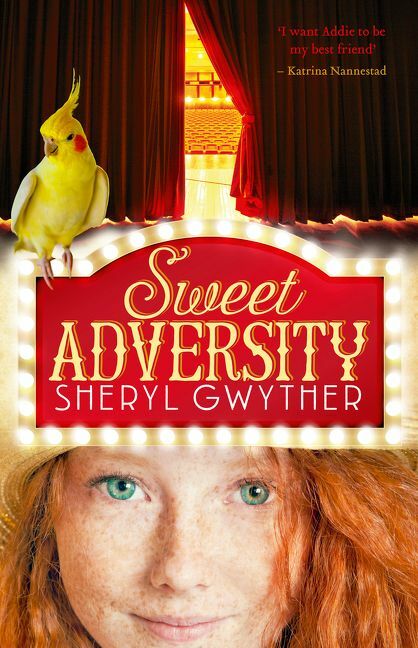 Sweet Adversity is a rollicking middle-grade historical adventure, hot off the presses from Brisbane author Sheryl Gwyther. The daughter of travelling actors, Adversity herself (known as Addie) is a sparklingly likable character: gutsy and generous,sensitive yet determined, with the voice of an angel and a mischievous cockatiel for her best friend. Gwyther weaves a rich tale of daring escape through country Australia in the Great Depression, and is not afraid to give middle-grade readers snatches of Shakespeare, and other evocative and well-chosen vocabulary-boosters. I loved this book and will be recommending it for eager young readers from 7 – 11 years old. I have read two books this month that have made me think about big cities and specifically London. 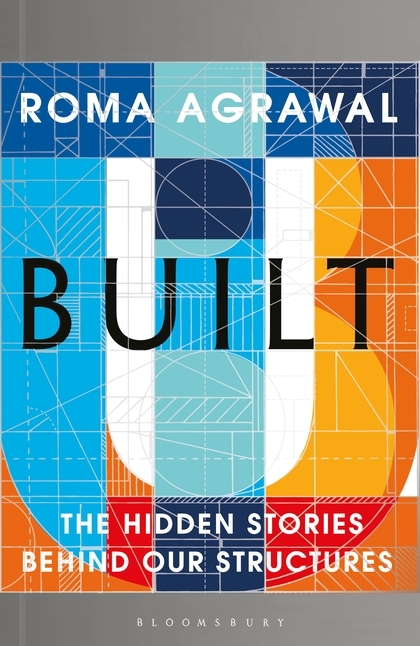 Roma Agrawal, one of the engineers behind The Shard, has written a book called Built. Engineering-lite for the complete novice, Agrawal takes complex concepts and reduces them to simple analogies (often involving rubber bands). Her love of built structures shines through, showing human history in a different light. 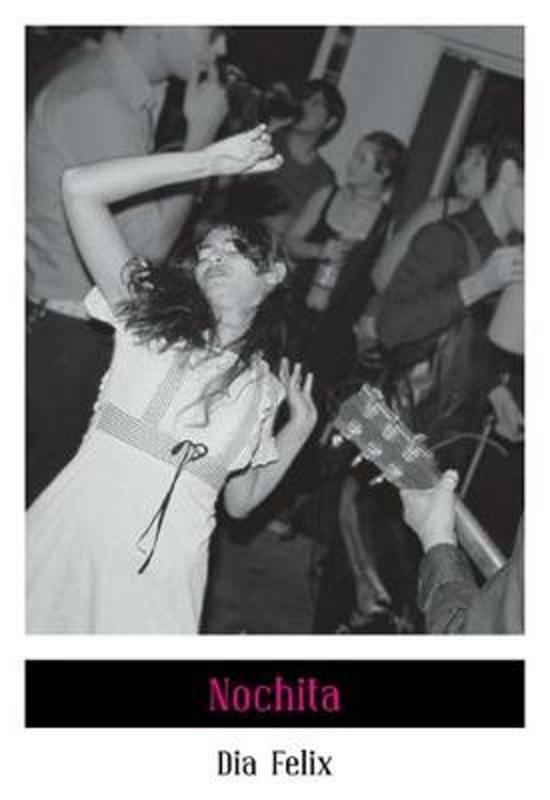 The tone is humorous and includes just enough personal anecdotes to give a sense of the author. I learnt a lot and am examining buildings around me now for their structural qualities. 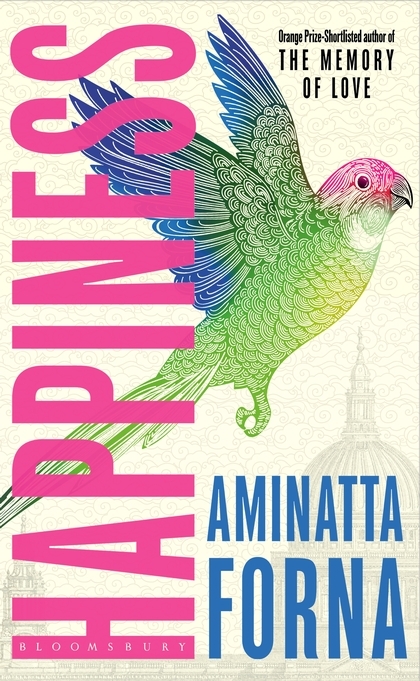 The other book, by Aminatta Forna, gave me an insight into the social and natural envir onment of contemporary Britain. Happiness is a sprawling, humbling tale of people who find themselves in London over the same two week period, each of whom manages to heal the others in ways they may never know. These people form the best kind of community even though (or perhaps because) none of them are what Leave voters might consider ‘Brits’. They show resilience, fortitude, grace and, above all else, love towards their fellow creatures. It was a pure joy to read, like a contemporary, multicultural Mrs Dalloway. 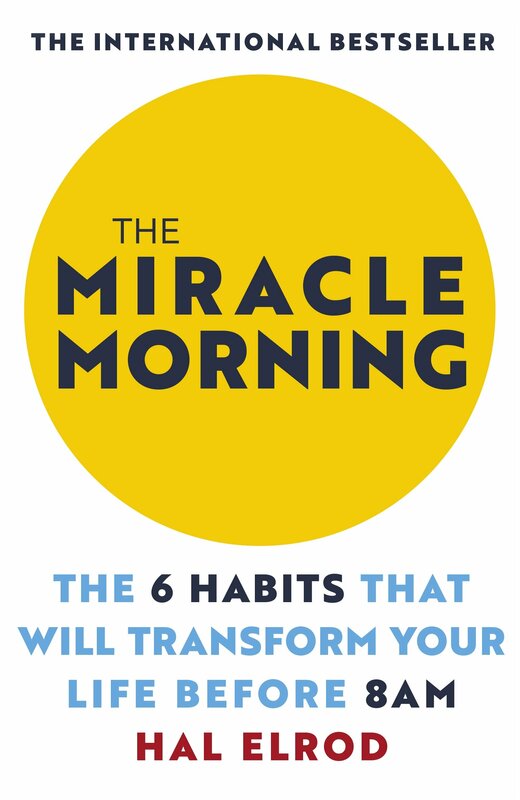 I’ve recently been taking a look through The Miracle Morning: The 6 Habits That Will Transform Your Life Before 8AM by Hal Elrod in which he outlines six habits which, when completed daily (preferably in the morning) can help you to achieve more productivity and motivation during the rest of your day, resulting in a greater capacity to achieve goals in all areas of your life. Although I’m definitely not a morning person, on the days where I’ve managed to take time out for myself and follow his program I did notice an improvement in mental clarity. This book is a good instruction manual for helping yourself to find a way to take back that vital time, which so many of us are missing out on these days, where we can simply be alone with ourselves in our own head. Hal reminds us that looking inwards instead of outwards at times can be more effective at helping us to see where we need to go. I have just finished reading Kudos, the final book in Rachel Cusk’s fictional trilogy. Beginning with Outline and then Transit I have found Cusk’s writing a very different way to write fiction and I urge you all to read her. Basically, the central character Faye is an author who is travelling to book festivals or to teach in Europe. 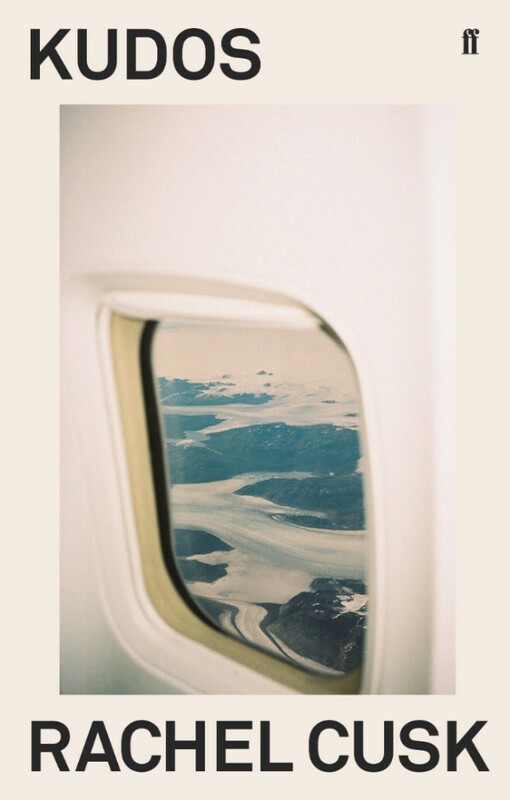 As she travels, she has extraordinary conversations with those she meets — on the plane, at the cafe, at events. Each conversation reveals deeply provocative insights into family, culture, politics from philosophical and moral/ethical perspectives. Keep post-it notes nearby because you will want to note the many incredible insights that you will want to think about and discuss with others. I wanted to re-read each book as soon as I finished. Eileen Myles is a genius! They (Myles’ preferred pronoun) started as a poet and performance artist in New York City and is now a professor in San Diego and is referred to as a “queer feminist literary icon”. I first started reading Myles’ poetry, then fiction and more recently, their essays. Their work gets to the core of feeling through an almost crude honesty that captures experience in a way that I haven’t come across in such a unique way before. 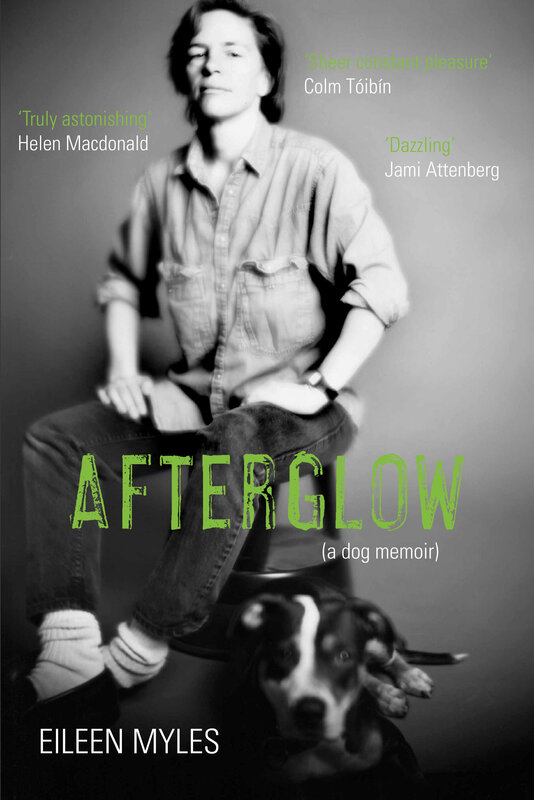 This is a memoir about their relationship with their dog, Rosie, who is experimentally referred to as god. This might be a memoir about an owner/dog relationship, but is also a work of auto-fiction that creates a category of its own. 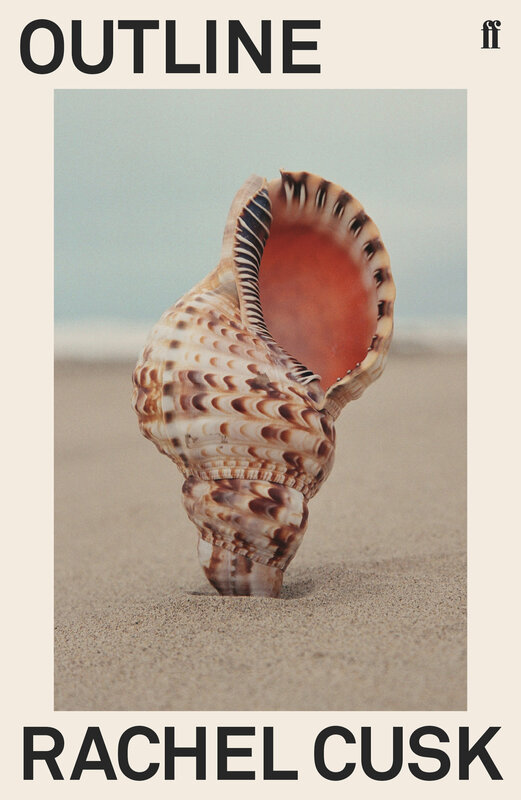 It begins as an elegy for a lost pet but moves into a restless philosophical investigation into love, life, death, the Buddhist concept of the bardo. From foam to plaid to alcoholism, Rosie links Myles’ subjects together.